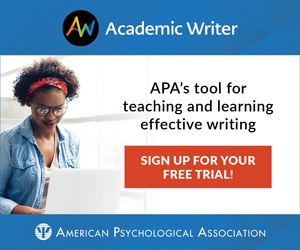 Psychological Science has launched a new category of articles called Preregistered Direct Replications (PDRs) — replications of studies published previously in the APS flagship journal. PDRs aim to employ — as closely as possible — the same methods and procedures as the original study to determine if the original effects are reproduced. “The aim is to create conditions that competent experts agree test the same hypotheses in essentially the same way as the original study,” Editor in Chief D. Stephen Lindsay writes in an editorial introducing the new article type. PDRs are distinct from Registered Replication Reports (RRRs) and other multilab empirical papers, which originated in Perspectives on Psychological Science and will now transition to the newest APS journal, Advances in Methods and Practices in Psychological Science. One of the motivations for adding PDRs, Lindsay says, is the belief that a journal is responsible for the work it publishes. PDRs will be subject to external review; typically, the author of the study being replicated will be invited to provide a review, along with at least two independent experts. For more details on submitting PDR proposals, see Lindsay’s editorial here.